Staff - Waypoint Advisory Services, Inc. The Waypoint Partners and Field Team have over 50 years of combined experience in the Credit Union industry. Barry and Greg’s combined continuing education exceeds 800 hours and includes topics such as Asset Liability Management (ALM), Specialized Lending, Bank Secrecy Act (BSA), Fraud Examination, Recordkeeping and Internal Controls, and Accounting Standards Updates. 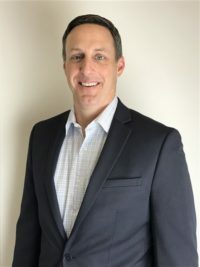 Co-founder & President of Waypoint Advisory Services, Inc.
Greg is a 1989 graduate of Texas Tech University, and holds a degree in Accounting and Finance. He is also a Certified Public Accountant as well as a Certified Fraud Examiner. Greg started his own accounting firm in 1996, specializing in tax and business consulting. In 1999, Greg began working with credit unions performing internal control testing and providing audit services. Greg is an avid runner, an amazing leader, a proud father. 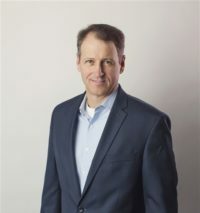 Co-founder & CEO of Waypoint Advisory Services, Inc.
Barry is a twelve-year veteran of the National Credit Union Administration (NCUA), and now the co-founder and CEO of Waypoint. Barry attended West Texas A&M University where he received a Bachelor’s Degree in Business Administration with an emphasis in Finance, followed by a Master’s Degree in Business Administration from Texas Tech University. He and his wife Judy have been married for seventeen years and together they have one son Thomas. Early in Barry’s career with NCUA, he uncovered several high priority fraud cases which catapulted him into his specialty designation within the agency as a Recordkeeping and Internal Controls (RIC) Specialist. As a result, he received many rewards and acknowledgements. Most significantly, he was awarded the NCUA’s Examiner of the Year designation for Region 4 three different times. Since that time, Barry and the Waypoint team have been involved in over 20 fraud cases throughout the United States, even testifying as expert witnesses for the U.S. Attorney’s office on several occasions. Since March, of 2014, Barry has spent the better part of his time focusing on and serving as interim CEO for a number of different troubled credit unions. Brandon McDaniel worked as a credit union examiner for the Texas Credit Union Department (TCUD) for a period of nearly 10 years. During that time, Brandon served a short stint as an internal auditor at EECU in Fort Worth. 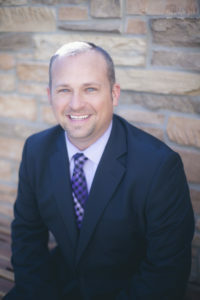 His experience and skill set make him the perfect lead on any state-chartered credit union audits, as well as the teams go to guy for state-specific compliance issues. Brandon, who heads up our Dallas/Ft Worth division, received his bachelor’s degree in finance from the University of North Texas in 2002. The newest member of the Waypoint team is engineer-turned-auditor Lauren Quill. She moved to Amarillo after completing her B.S. in Chemical Engineering at The University of Toledo. 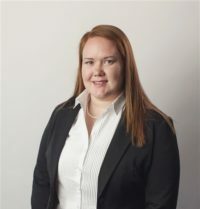 While working as an engineer at Proctor & Gamble, she completed her MBA at West Texas A&M, and after ten years in the engineering field, made the decision to join the Waypoint family. With her love of the credit union movement and her engineering background, Lauren brings a fresh and unique perspective to the Waypoint team. Cale Hawley is one of the newest members of the Waypoint team. A graduate of West Texas A & M University, Cale holds a Bachelor of Science degree in Biology. Cale has over 17 years of experience in sales and marketing, including pharmaceuticals, medical equipment, pharmacy services, and consulting. Cale’s marketing roles over the years have included sales, marketing, advertising, public relations and entrepreneurship. 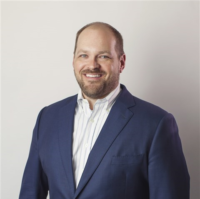 Cale’s expertise includes marketing plan development and implementation, lead generation, and client relationship management and pipeline development. 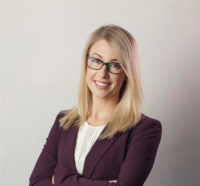 Emma Adams joined the Waypoint team in 2014 after earning her degree in accounting from West Texas A&M. 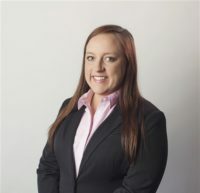 She currently specializes in controls and lending, and is quickly becoming Waypoint’s compliance expert, and is currently working on her NAFCU Certified Compliance Officer designation. She has an easily recognizable strong work ethic, and has proven to be a valuable addition to the team. She is also a proud mom of an amazing son, Caden. Mattie is the glue that holds Waypoint together. Her title as office manager really doesn’t cover the myriad of responsibilities she carries out on a daily basis. If you have ever received an email from Waypoint, it probably came from Mattie. With a professional career and five kids (yep you that that right, 5 kids), Mattie is the master of work/life balance. She does an amazing job managing the office, and is often the first person our clients contact when they need assistance.